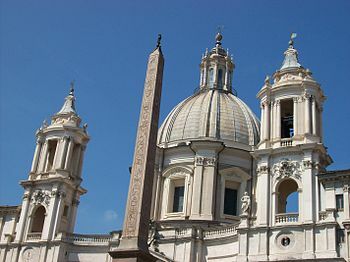 Sant’Agnese in Agone (Saint Agnes in Agone) in Piazza Navona is built on the ruins of the Stadium of Domitian. This was the site of Anges’ martyrdom. She was condemned to be burned to death, but the flames turned away from her toward her executioners. She was eventually beheaded and buried on Via Nomentana wher the church of St. Agnes fuori le Mura now stands. 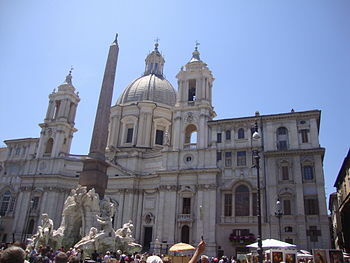 Bernini’s Fountain of the Four Rivers is located directly in front of the church. The Nile River figure in the fountain has his head covered. 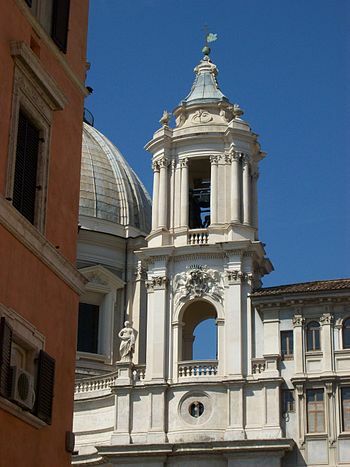 It is commonly believed that Bernini covered the face of the figure so it did not have to look at the facade of the church designed by his architectural rival Borromini. This is impossible because the fountain was built before the church in 1651. To see the underground ruins of the Roman circus and large marble altarpiece of “St. Agnes led to Martydom by Alessandro Algardi, visit the subterranean rooms with permission from the Sacristy. 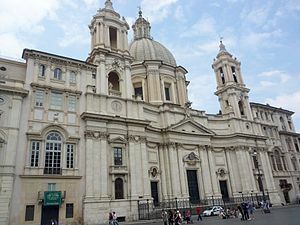 Sant’Agnese in Agone is a seventeenth century Baroque church. This location in Rome is where the Early Christian Saint Agnes was martyred in the ancient Stadium of Domitian. 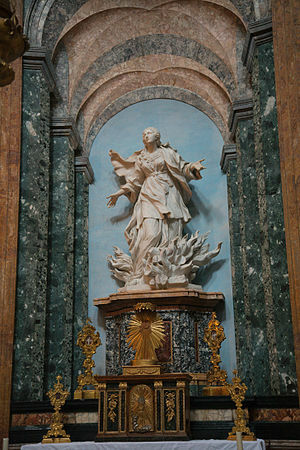 Ercole Ferrata’s statue of St. Agnes show the flames pointing toward her executioners was initially commissioned from Alessandro Algardi and completed by Ercole Ferrata and Domenico Guidi in 1688. The altar depicting the “Martyrdom of Sant’Emerenziana” is also by Ercole Ferrata. There is also a reliquary containing the skull of St. Agnes in a small chapel of the church. The interior of the dome has paintings portraying the Assumption started by Ciro Ferri in 1670 and completed by Sebastiano Corbellini. 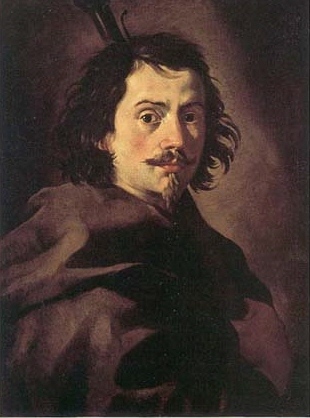 The pendentives were painted with the allegorical representations of the cardinal virtues by Bernini’s protégée Giovanni Battista Gaulli known as Baciccia. This commission enhanced his reputation which led to his commission for the masterpiec vault fresco in the church of Gesu. The main altar has Domenico Guidi’s “Holy Family”. I love the statue of Saint Sebastian. Giovanni Francesco Rossi relief of the “Death of St. Allesio” depicts the pope and emperor coming to visit the saint aftere he had died. The altar depicting the “Death of Santa Cecilia” is one of Antonio Raggi best works. 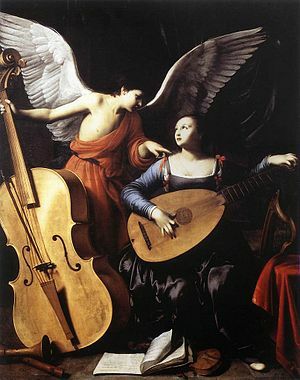 Saint Cecilia is the patron saint of musicians.